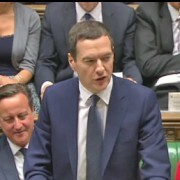 You are here: Home / tax blog / Advice / It’s official: thousands are on the wrong tax code! It’s official: thousands are on the wrong tax code! 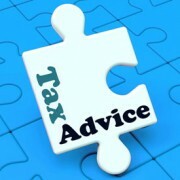 With the tax return deadline being only hours away (midnight 31 January 2014) there is still time to get professional help if you need it – particularly because HMRC often get it wrong according to new research by UHY Hacker Young. In just one example, HMRC sent a tax bill to a pensioner which demanded over £576k in tax! With an income of only £11k per annum this was clearly incorrect but what if it had been only hundreds of pounds wrong – would the pensioner have noticed and, if so, would he have been confident enough to question it with the might of HMRC? According to the research, HMRC employees have been making ‘basic’ errors which have led to problems such as people being on the wrong tax code and consequently underpaying or overpaying tax. While underpaying it may sound attractive on the face of it, chances are the system will catch up and then a correction will need to be made later on, leaving the taxpayer with an unforeseen bill to pay – a real blow for cashflow. While the UHY Hacker Young research cites an error rate in 2013 of 37% in the sample tested, HMRC are arguing that the research is wrong and that their PAYE coding notices are 99% accurate. Either way, when you consider that at least 1% of the UK’s employed are on the wrong code by implication, that’s an awful lot of people in the UK who are paying the wrong amount of tax! 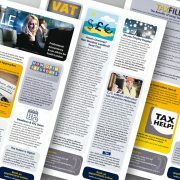 This is where assistance from companies like Taxfile really comes into its own – at Taxfile you can get expert tax advice so that you can rest easy in the knowledge that your tax affairs are up to date and that your tax return – and any tax demands or rebates – are totally accurate. 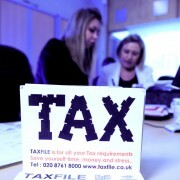 Taxfile are based in Tulse Hill, South London, and can be reached on 0208 761 8000. But hurry, the UK tax return deadline is tomorrow! Miss it and you’ll receive an automatic fine of at least £100. https://www.taxfile.co.uk/wp-content/uploads/2016/09/taxfile2016.png 0 0 Mark https://www.taxfile.co.uk/wp-content/uploads/2016/09/taxfile2016.png Mark2014-01-30 15:10:192014-01-30 15:10:19It's official: thousands are on the wrong tax code!